Days where I both cross train and have practice are pretty intense. I feel like I have to constantly eat and even then, I’m worried that I’m either not eating enough or eating too much. Or what I’m eating is wrong and not helping perform at my best. I spend a lot of time thinking about what I am or am not eating. That in and of itself is exhausting. With IdealFit, they thankfully do all the thinking for me. 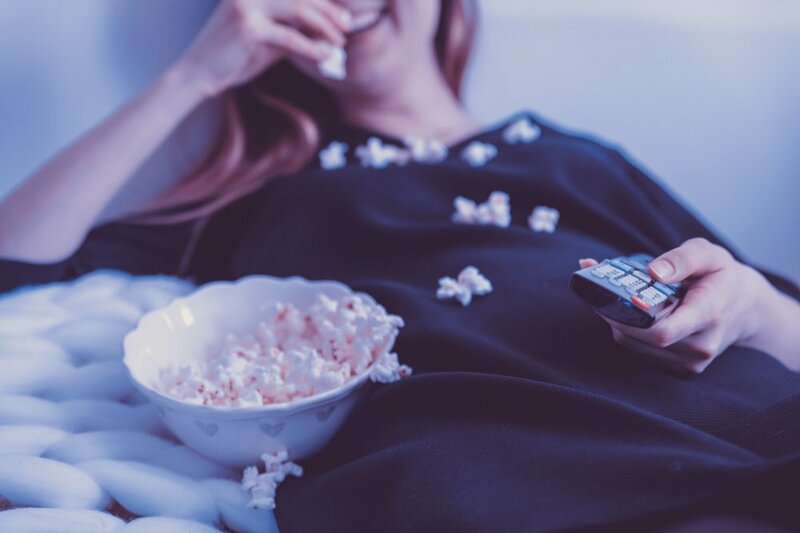 With their protein powder and BCAAs (those are branched-chain amino acids, in case you're curious), eating during high activity days becomes a no-brainer. During my double workout days, I usually go to the gym in the morning, followed by practice at night. I started the day with the Chocolate Cream Pie IdealShake. Apologies that you only see the empty blender bottle, but I promise you it was in there, and it was delicious. I tried to get every drop. Every drop! I mixed the shake with water and IT WAS STILL CREAMY. I know. I couldn’t’ believe it either. With other brands, you can’t help but taste the chalky, clumpy, watered down powder flavor. 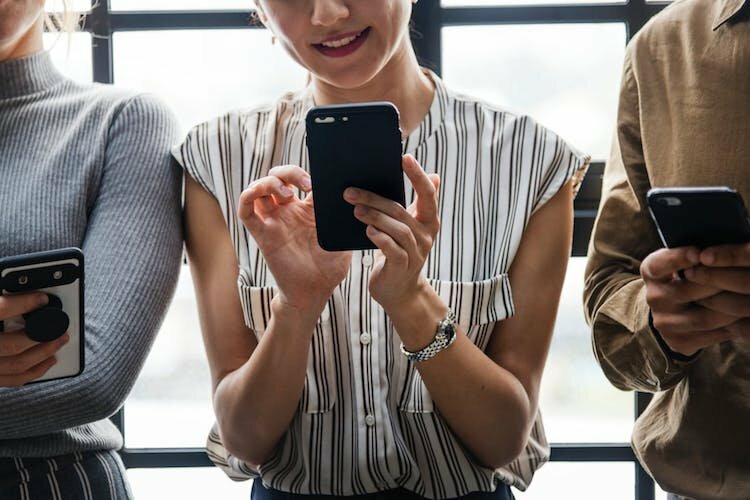 Not so with IdealShake. It dissolves quickly, and all you’re left with is a tasty breakfast treat that's good for you, too! I got winded just reading that. I know, right? It was a good one. After that work out, I did two things. 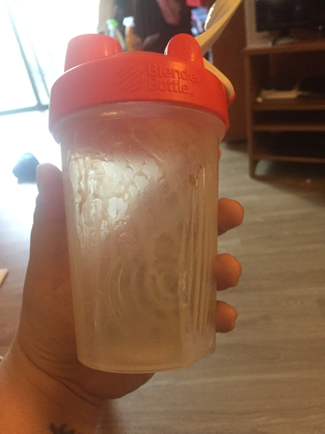 First, I laid in front of the fan and didn’t move for about 10 minutes, and then I made myself a blender bottle of IdealLean French Vanilla Protein Shake. Seen here at home, where I longed to be. What I like about this protein shake is that it tastes good when it’s mixed with water. It’s makes a huge difference when I’m trying to refuel after working out. When I’m at the gym, I know the importance of fueling immediately after a workout; but I also don’t want to hunt for milk in order to mix up my shake. 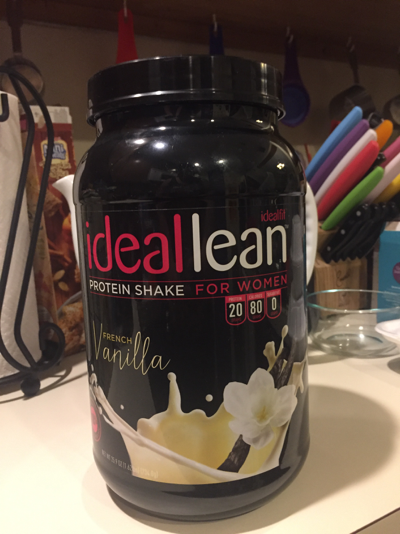 So the fact that an IdealLean protein shake is delicious with water makes it an easy win for me. Normally, I don’t notice the taste of protein shakes after a workout, especially if they are like the one I did that morning, but the French vanilla really stood out to me as creamy and smooth. It was like having a soft-serve ice cream cone as a reward after a demanding workout. While I would have preferred the cone (I’m human after all), the vanilla shake was the next best thing. I headed into my two-hour evening practice feeling pretty good and full, but not painfully full as I have in the past. Throughout the day, I drank water mixed with BCAAs. These essential amino acids help prevent muscle fatigue and soreness. 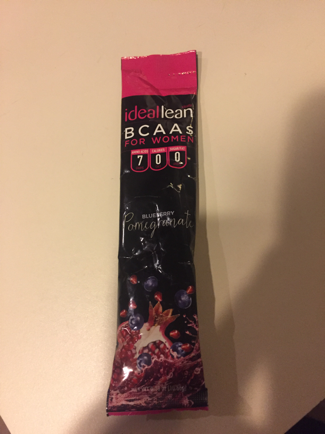 I try to make it a point to drink BCAAs during my training, and IdealLean’s Blueberry Pomegranate BCAAs didn’t disappoint. I’ve had supplements in the past that tasted like I was drinking chemicals. That was not the case with IdealLean BCAAs. The packet added a nice fruity flavor to my water, which I much appreciate during a workout. It’s comforting to know that drinking something that tastes good is actually good for me, too! I ended my day of double workouts feeling equal parts exhausted and satiated. I wasn’t hungry or cranky and felt pretty happy about my nutrition for the day. Thank you IdealFit for making eating while pulling double workout duty both easy and tasty. Try IdealFit today and get 10% Off with code TCC10.